We would like to present an audio-video cable of Metropolis Edition series, executed in the best traditions of our company. Notwithstanding a comparative low price of this series, the cable is made of high-quality polyvinylchloride, conductor threads are cast of pure oxygen-free copper, and isolator is made of PE foam. 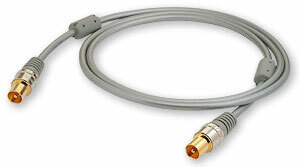 These materials provide very quality signal transmission, make the cable flexible and effective appearance. Plug pins have a hex-section structure (flexible leaves), and the central bar has a divided form to provide resilience of the structure. The contact surface is gilded, and the outer metal housing of the plug is polished and has black-oxide coating. The connector construction is sealed, covered with flexible plastic, which maintains reliability and endurance in operation. The whole range of cables materials and design features of connectors Metropolis Edition is completely identical to the technology level, applicable in expensive cable series of our company. 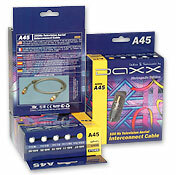 The cable packaging is made of quality board with full-color image. On the back side of the box there is a description in four languages and the full image of the cable.